A local Act of 1775 established the Mitford and Launditch Hundreds incorporation. In 1776, the incorporation purchased the 62-acre Chapel Farm in Gressenhall and in the summer of that year began the building of a "house of industry". The construction work, which cost £15,000, was completed the following year. The red-brick building was two-storeys high and had a central H-shaped block with a large L-shaped extension at the east. The workhouse accommodated an average of about 450 inmates but reached a high of 670 in 1801. From the 1790s, there was increasing dissatisfaction with the operation of the incorporation and its failure to produce the anticipated reductions in the poor rate for its member parishes. This had largely been brought about by the initial large debt incurred by the building of the palatial house of industry, and also the high standards of living and medical relief it provided. The expected contribution to the running costs from the sale of goods and materials manufactured by the inmates also failed to materialise. Pressure from ratepayers led to a revision of the local Act in 1801 under which each member parish paid a fixed contribution per year, plus a an extra charge for each pauper they placed in the workhouse. As a result, use of the workhouse fell considerably. Continuing discontent led, in 1825, to a public meeting to consider the disincorporation of the two hundreds. However, the meeting decided to retain the incorporation with with a number of economic and administrative reforms. In 1785, the parish of Bawdeswell formed a union under Gilbert's Act. 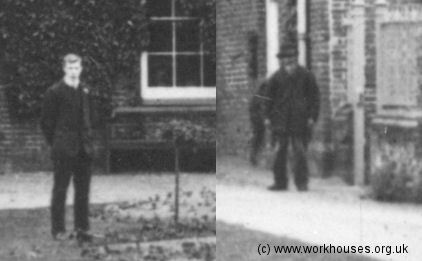 The union operated a workhouse on The Street at Bawdeswell. 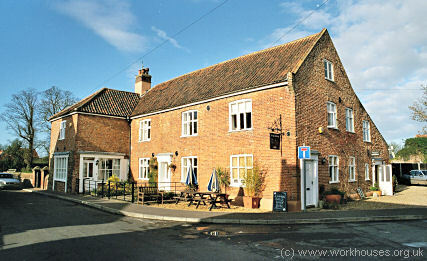 The building was later used as a school, then as a bakery and shop, and is now a public house. Prior to the formation of the Mitford and Launditch incorporation, East Dereham had its own workhouse which by the early 1770s could accommodate around 65 inmates. 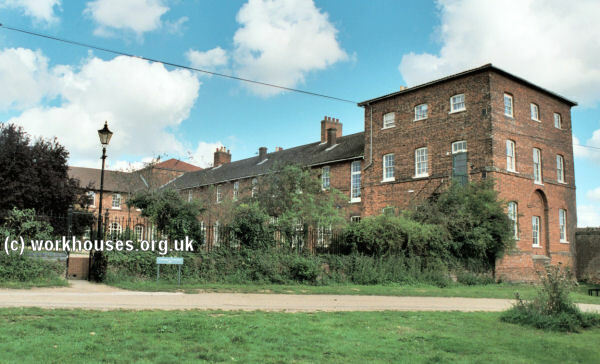 In 1801, the parish of East Dereham obtained an act of separation from the incorporation and re-established its own workhouse which stood half a mile to the east of the town at the north side of the Norwich road, where Union Drift is now situated. After 1836, the workhouse was converted into cottages. County of Norfolk: Bawdeswell, Beeston with Bittering, Beetley, Billingford, East Bilney, Bintree, Brisley, Bylaugh, Colkirk, Cranworth, East Dereham (4), Great Dunham, Little Dunham, North Elmham, Elsing, Foxley, Great Fransham, Little Fransham, Garvestone, Gateley, Gressenhall, Guist, Hardingham, Hockering, Hoo, Horningstoft, Kempston, Letton, East Lexham, West Lexham, Litcham, Longham, Lyng, Mattishall Burgh, Mattishall, Mileham, Oxwick with Pattesley, Reymerston, Rougham, Scarning, Shipdham (2), South Burgh, Sparham, Stanfield, Swanton-Morley, Thuxton, Tittleshall with Godwick, East Tuddenham, North Tuddenham, Twyford Weasenham—All Saints, Weasenham—St Peter's, Wellingham, Westfield, Whinburgh, Whissonett, Windling, Wood-Rising, Worthing, Yaxham. The population falling within the union at the 1831 census had been 27,694 with parishes ranging in size from Kempston (population 59) to East Dereham (2,946). The average annual poor-rate expenditure for the period 1833-35 had been £26,684 or 19s.3d. per head of the population. 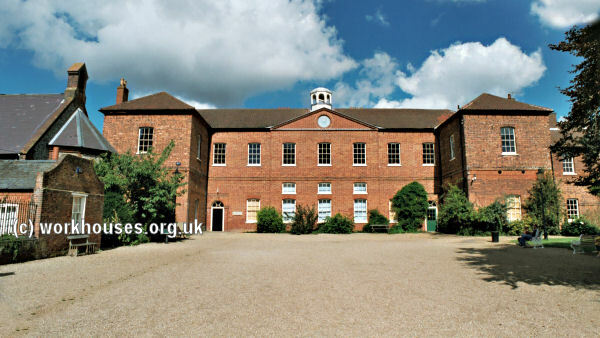 The new union took over the existing Gressenhall workhouse which was adapted to the requirements of the 1834 Poor Law Act. A high boundary wall was erected together with internal dividing walls to create separate yards for the different classes of inmates. The site layout is shown on the 1905 map below. Mitford and Launditch entrance from the east, c.1907. Mitford and Launditch entrance from the south, c.1910. Mitford and Launditch main block from the south, 2001. Mitford and Launditch east wing from the south-west, 2001. Mitford and Launditch general from the north-east, 2001. In 1853, a new single-storey building was erected to accommodate aged married couples. Later additions included a chapel in 1868 and an isolation block in around 1871. Mitford and Launditch aged couples block and chapel from the south, 2001. In 1894, the British Medical Journal set up a "commission" to investigate conditions in provincial workhouses and their infirmaries. Following a visit to the Gressenhall establishment, the commission's report noted an inconvenient separation of the female and male infirmaries, with conditions in the latter described as "squalid" and "dreary, comfortless, and crowded". There were no proper baths or running water. The sole nurse was untrained and assisted by a pauper "wardsman" who, at night, provided the only form of nursing attendance. Further details are available in the full report. 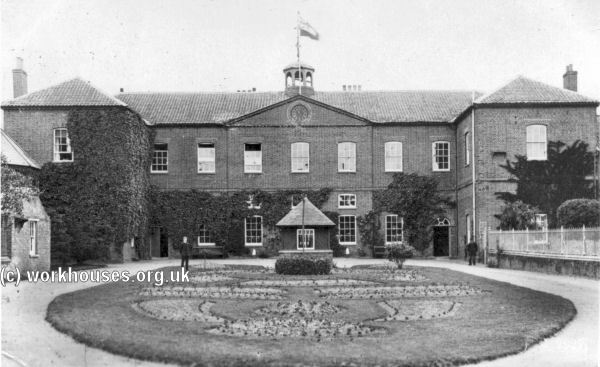 In 1930, the workhouse became Gressenhall Institution. After the Second World War it provided accommodation for the elderly until 1974. The former casual wards were also used to provide emergency accommodation to homeless families. 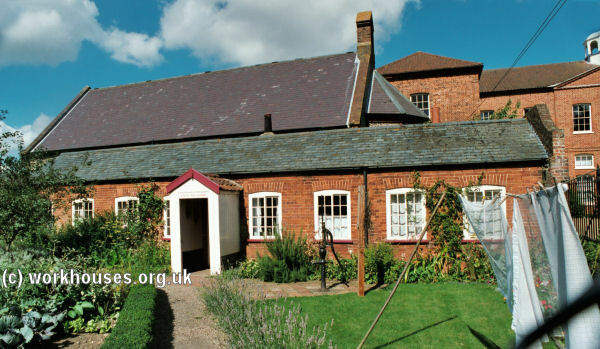 In 1976, the buildings became a rural life museum now known as Gressenhall Farm and Workhouse: Museum of Norfolk Life. Norfolk Record Office, The Archive Centre, Martineau Lane, Norwich NR1 2DQ. Most early records were destroyed during World War 2. Holdings include: Guardians' minute books (1836-1930); Punishment book (1871-1933); etc. Gressenhall Farm and Workhouse: Museum of Norfolk Life, Gressenhall, Dereham, Norfolk NR20 4DR.